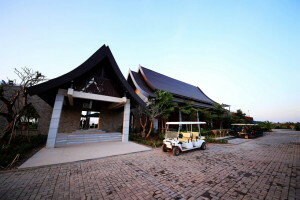 Lakeview Vientiane Golf Club is a modern resort courses located within Vientiane City. Designers have used clever mounding and earth works to transform a basically flat field into an interesting and challenging golf course. Now a series of manmade lakes frame each hole. 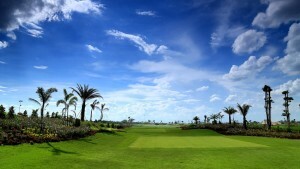 The undulated greens are surrounded by steep bunker complexes to ward off approaching shots and keep scores above par. Lakeview Vientiane is well maintained and uses the latest in Paspalum grass to keep playing surfaces constant throughout the year. As the Laos golf course matures it will become more interesting due to many of the trees that come into play. Service enhancements and other facilities are planned to bring the Lakeview Vientiane Golf Club up to the highest standards in Laos.